And without it, you can’t be a great leader. As the CEO and co-founder of a company that has built a business around bringing people together, I spend a lot of time thinking about the power of human connection. Whether it’s a single large gathering, like the inaugural Women’s March on Washington, or more intimate groups forming to share in a cultural moment, like we recently saw for the Black Panther movie premiere, people coming together for connection, expression, and change is incredibly powerful. Harnessing the power of technology to make it possible for anyone to create a movement, or event, around their chosen passion is what motivated us twelve years ago when founding the company and it continues to drive us today. Eventbrite now serves and supports more live experiences than any other platform in the world. When I pause and think about how we got here, what immediately comes to mind are somewhat obvious ingredients: purpose, conviction, grit, perseverance, optimism, and a tremendous amount of support. But when I look a level deeper, I see something else that has played a critical role on this journey: empathy. Without empathy, you can’t be a great leader. As I wrote in a previous post, while traditionally viewed as a feminine trait—a weakness, even—empathy has now emerged as a critical leadership strength. Sure, there are some really great minds out there, great thinkers who are renowned for what they do, but without empathy, they’re not great leaders. Great leaders know when to lean someone into their strengths, and when to help alleviate or manage their challenges. And that requires an understanding of where that person is coming from. That requires empathy. Leading Eventbrite has taught me a lot about how to connect with people to drive results. I like to say that energy is my “operating system” and empathy is my “superpower.” I’ve learned over the years to quickly read the vibe in a room and understand where people are coming from, which allows me to adapt and drive the right outcomes for the business. I’ve also learned that once you can understand what’s going on with someone in their whole life—not just what they’re accomplishing as an employee—then you can really understand the motivations and decisions they’re making in their business life. Without empathy, you can’t fully meet the needs of your customers. For Eventbrite, our goal is to empower the hundreds of thousands of creators who use our platform to bring people together – whether it’s 25 followers or 100,000 fans – so that they can facilitate these important real-life, curated moments of thought sharing, joy, reflection, and growth. Without our passionate creators, we would be nothing. And for more than a decade, we’ve had a relentless dedication to serving them. We do this, in part, through empathy. We challenge ourselves to look at situations from their unique points of view, and seek to understand what it’s like to be in their shoes so that we can better deliver solutions that make them more successful and in turn, give rise to more live experiences around the world. Embracing empathy is not without its challenges, but the result is worth it. I call empathy my superpower and I say that with sincerity and pride, but it was only after learning to apply discipline to my empathy that it became a true strength. In the post I mentioned earlier, I talk about “hacking empathy.” You’d be amazed at what’s possible when you make an effort to understand where others are coming from; when you tap into what motivates and inspires them. But you must be able to lean into empathy and learn to channel it versus reacting to everything that is coming your way. This will truly set you apart as a leader. The type of openness and trust that is fueled by empathy is vital to building both a lasting business and a really great company. A lot of people view the business and the company as one in the same, but to me, they’re different; you can have a really great business but a weak company or build a really great company but not have a strong business that ultimately lets it go the distance. The company to me is the culture; it’s who you are and how you show up in the world for your team and your customers. So I encourage everyone, especially those who aspire to lead, to embrace empathy. How we treat one another matters, and will ultimately define our legacy. Julia Hartz inspires people to live more by leading the world’s largest marketplace of live experiences. She co-founded Eventbrite in 2006 and served as President until being appointed CEO in April 2016. Eventbrite has generated over $10 billion in gross ticket sales, and processes more than three million tickets per week to events around the globe. Under Julia’s leadership, company culture and workplace performance has remained an integral part of Eventbrite, which now boasts over 700 employees in 13 countries around the world. Eventbrite has been voted one of the “Best Places to Work in the San Francisco Bay Area” nine years running. 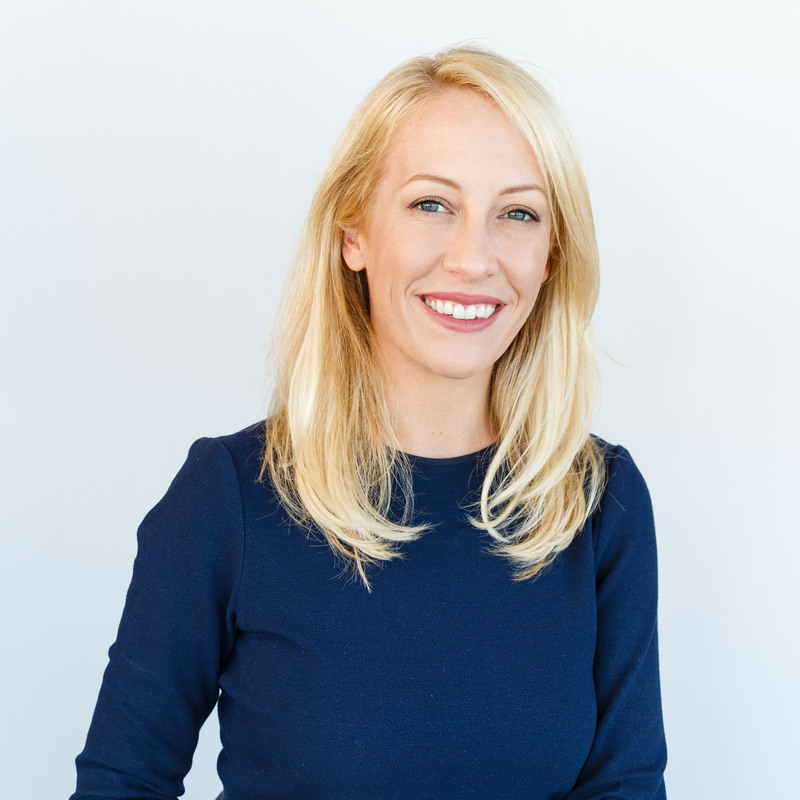 In the years since founding Eventbrite, Julia has been honored as one of Fortune’s 40 Under 40 business leaders (2015 & 2017) and Fortune’s Most Powerful Women Entrepreneurs in 2013. Julia is a thought leader on live experiences, consumer trends and entrepreneurship, and has been featured in Forbes, Fortune, and Bloomberg. Julia holds a B.A. in telecommunications from Pepperdine University (2001).